A word of caution for other readers. Always check an airline site to see how many frequent flyer miles they are charging for a flight. Because even with travel portal bonuses, you might still use fewer miles by transferring points directly to an airline and booking an award flight. For example, I found Southwest airfare for $211, which would require ~16,880 Chase Ultimate Rewards points from my Sapphire Preferred ($211 cost of airfare / 1.25 cents per point) if booked through the Chase travel portal. But Southwest was charging 12,601 Southwest points for the same flight. So I instantly transferred Chase Ultimate Rewards points to Southwest at a 1:1 ratio and booked the award flight. This is terrific advice, NB! Some folks can develop certain habits when booking award travel and miss opportunities to save miles and points! For example, I recently shared 3 examples of booking Southwest flights, which result in different values for your Chase Ultimate Rewards points. And you’ll likely come across similar scenarios when comparing award flight prices on with other airline transfer partners vs. flight prices through a travel portal. A Quick Comparison of Flight Prices Might Save You Thousands of Miles or Points! I’ll explain why you’ll want to run the numbers when redeeming points for a flight! Link: Which Points Transfer to Which Airlines? Handy Chart for Converting! Often times, you’ll get the most value for your flexible points when you transfer them directly to an airline to book an award flight. Especially for expensive Business Class or First Class flights. For example, Emily and I transferred Chase Ultimate Rewards points to United Airlines to fly Business Class from India to the US. Paying cash for the same flight would have cost thousands of dollars. 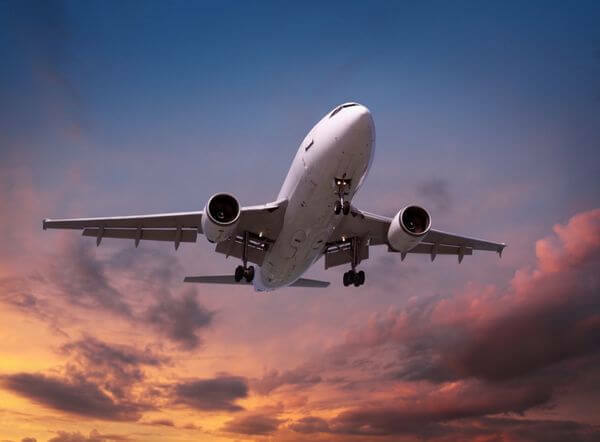 But for cheaper domestic fares or deeply discounted international tickets, you can sometimes get a better deal by redeeming points through a bank travel portal. And you don’t have to worry about blackout dates for award seats because you’re essentially booking a paid ticket with points. Plus, even if a flight costs slightly more through a travel portal, some folks still prefer to book this way. Because you earn credit toward elite status and miles as if you paid cash. The Value of Your Flexible Points in the Travel Portal May Depend on Which Card You Use! Most flexible rewards programs have certain cards that get you a bonus when you redeem points through the travel portal. 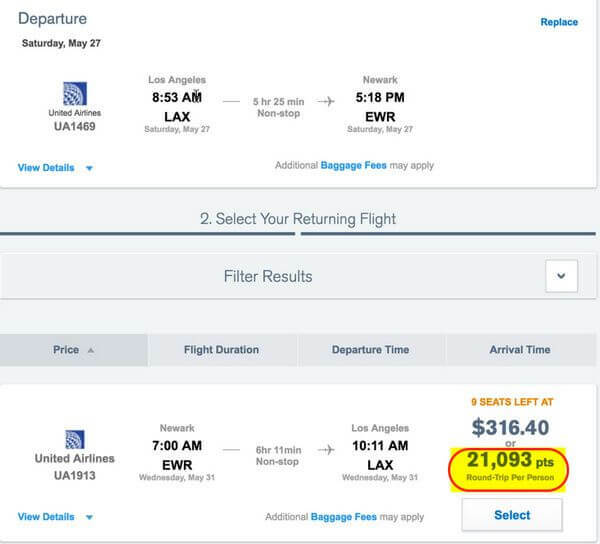 This can affect the math when you’re looking for the cheapest way to book a flight. Folks with the Chase Sapphire Reserve get 1.5 cents per point toward travel. Remember, if you have multiple cards, you can combine points to the card account that gets you the most value. When you have the Citi Prestige® Card, you can redeem points at a rate of 1.6 cents each for American Airlines flights when you book through the Citi ThankYou Portal. And 1.33 cents each on other airlines. Note: After July 23, 2017, the rate changes to 1.25 cents per point for all airlines. And you’ll get 1.25 cents per point with the Citi ThankYou® Premier Card. Folks with The Business Platinum® Card from American Express can use Pay With Points to get some of their points back on any flight with their selected airline through the AMEX travel portal. And the perk works for Business or First Class tickets on ANY airline booked through the portal. 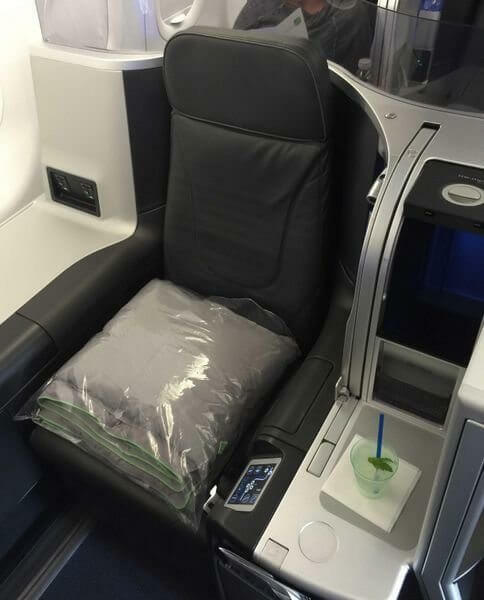 I’ve written how this is the best way to book JetBlue Mint Business Class airfare. Using the Pay With Points Perk With the AMEX Business Platinum Card Is the Best Way to Book JetBlue Mint Business Class Airfare! 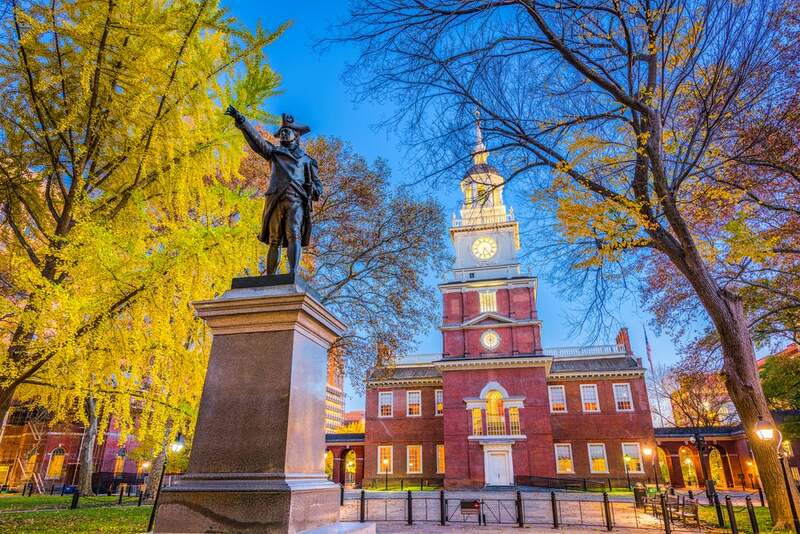 Note: AMEX recently made changes to the Pay With Points rebate. You can use Starwood points toward paid tickets on 150+ airlines with no blackout dates. The number of points you’ll redeem is based on the airfare cost. Generally, you won’t get the most value for your Starwood points redeeming them for SPG Flights. But it could make sense for a cheap flight if you have spare points sitting in your account. And I’d recommend checking if it’s a better deal to transfer Starwood points directly to an airline partner to book an award flight. Because you get 5,000 bonus miles for every 20,000 Starwood points you transfer. Folks looking for the easiest way to earn Starwood points should consider the Starwood Preferred Guest® Credit Card from American Express or Starwood Preferred Guest® Business Credit Card from American Express. Here’s my full review of both cards. Transfer Flexible Points Directly to Airline or Book Through the Travel Portal? Reader NB found a better deal for a Southwest flight by transferring Chase Ultimate Rewards points directly to the airline. And I found a similar example. A sample round-trip flight from Houston to Orlando in August 2017 costs 12,692 Southwest points. And remember you have to call Chase to book Southwest flights because they don’t show up on the travel portal. So in this example, you’ll save time and points by transferring points directly to the airline. I found a round-trip United Airlines award flight from Los Angeles to Newark for 25,000 United Airlines miles. 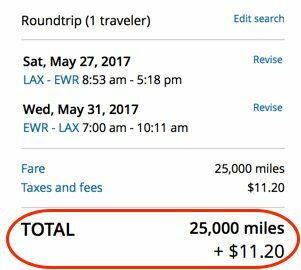 So you could transfer Chase Ultimate Rewards points to the airline at a 1:1 ratio to book this award flight. But you can get a better deal redeeming Chase Ultimate Rewards points through the Chase travel portal. Even though you’ll pay slightly more points with the Sapphire Preferred or Ink Business Preferred, you’ll earn miles on your flight. 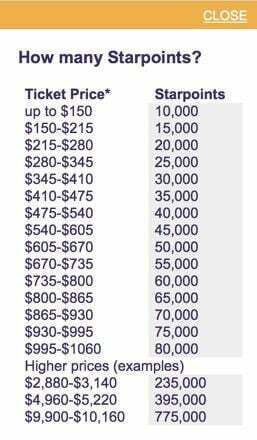 This offsets the extra ~300 points you’ll pay through the travel portal. If you’re planning a short-haul flight, you can find great deals on award flights with certain airlines. 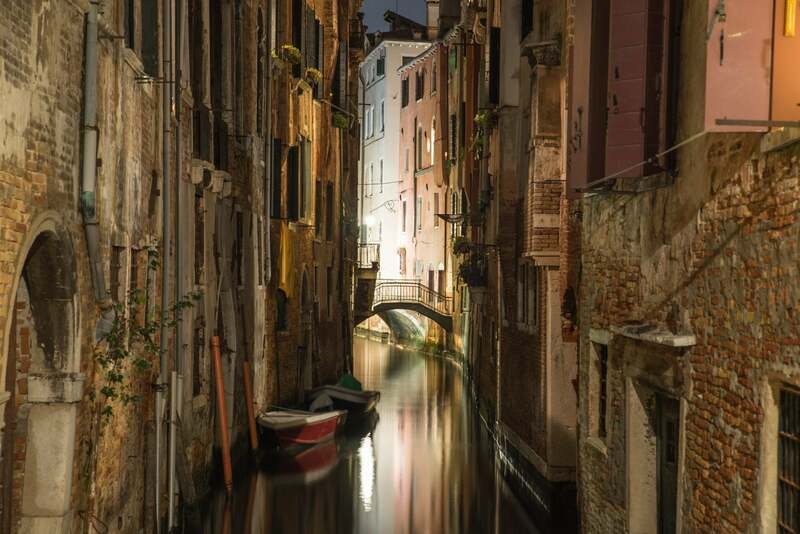 For example, you’ll pay 7,500 British Airways Avios points for a one-way award flight less than 1,151 miles on partners Alaska Airlines, American Airlines, and TAM within North America. Similarly, you can book short-haul award flights on Air Canada for 7,500 Air Canada Aeroplan miles. Even with fuel surcharges on Air Canada award flights, you can sometimes get a better deal than booking an otherwise expensive flight. For example, I found a last minute round-trip, non-stop coach award flight from Newark to Montreal in April 2017 for 15,000 Air Canada Aeroplan miles and ~$144 in taxes and fees. If you paid cash, this same flight would cost ~$912, which means you’d use significantly more points for the same flight through a travel portal. As reader NB suggested, it’s always a good idea to compare the price of an award flight to the number of points required for the same flight through a travel portal. Because sometimes you’ll get a better deal transferring flexible points directly to an airline. But other times you’ll use fewer points by booking through a travel portal. Especially with a card that increases the value of your points for travel portal redemptions, like the Chase Sapphire Reserve. Thanks for writing in, NB!